The big story line with the Ravens ~ 49ers Super Bowl is the coaching matchup. Baltimore Ravens head coach John Harbaugh is brother to San Francisco 49ers head coach Jim Harbaugh. 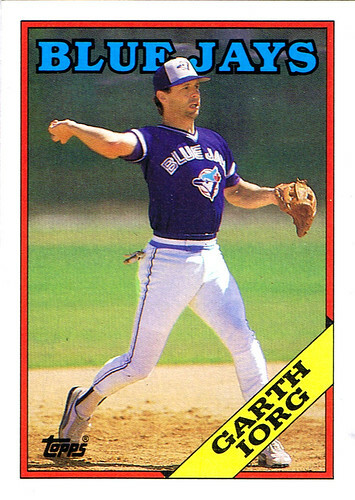 That's never happened before, but I remember well an AL Championship Series that pitted Blue Jay Garth Iorg against his brother Kansas City Royal Dane Iorg. It was 1985 and I distinctly remember an interview with Garth and Dane's mom in which she claimed she was rooting for the Royals. That must have made Garth feel great. Dane ended up winning in 7 and then went on to win the World Series. Garth would continue to platoon at third base with Rance Mullineks until Kelly Gruber was ready to take the reigns. They should have called the '85 ALCS The Iorg Forge. Toronto Mike, it's time to update your Blue Jays logo. How about if the team makes the playoffs this year, you change the logo? Rance Mulliniks should be in the top tier of voting for best baseball name ever. @ Blind Dave: But not the best baseball commentator. Pity that in '85 they changed the play off format from best of 5 to best of 7. Jays would have been in.